A lot has changed at Dynamic Strength and Conditioning over the past four years. 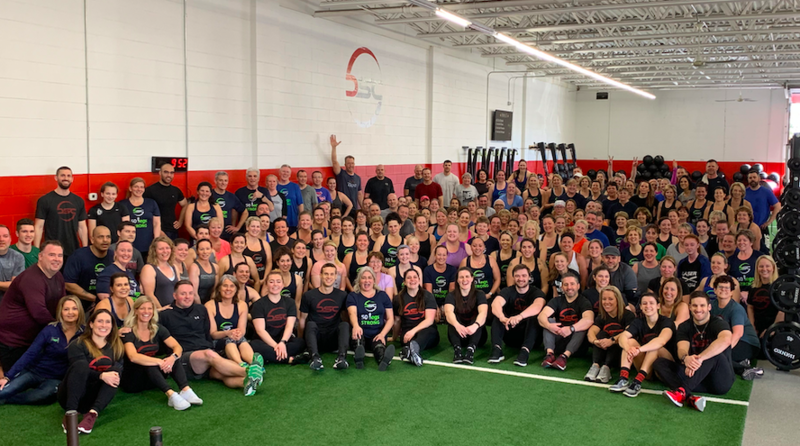 We have gone from a small community with less than 100 members to one of the largest and most connected fitness communities in New England. We are so proud to announce that we were just voted the best gym in New Hampshire for the third consecutive year! In that time we have seen hundreds upon hundreds of DSC members completely transform their health, confidence, and lives. Most of our new members came to DSC with no fitness background. Many of which had never been in a gym before. Those that had a fitness background typically came to us after failed attempts trying to improve their fitness and get into a consistent workout routine on their own elsewhere. They were in search of the proper care, support, guidance, and direction to make real changes and feel their best. 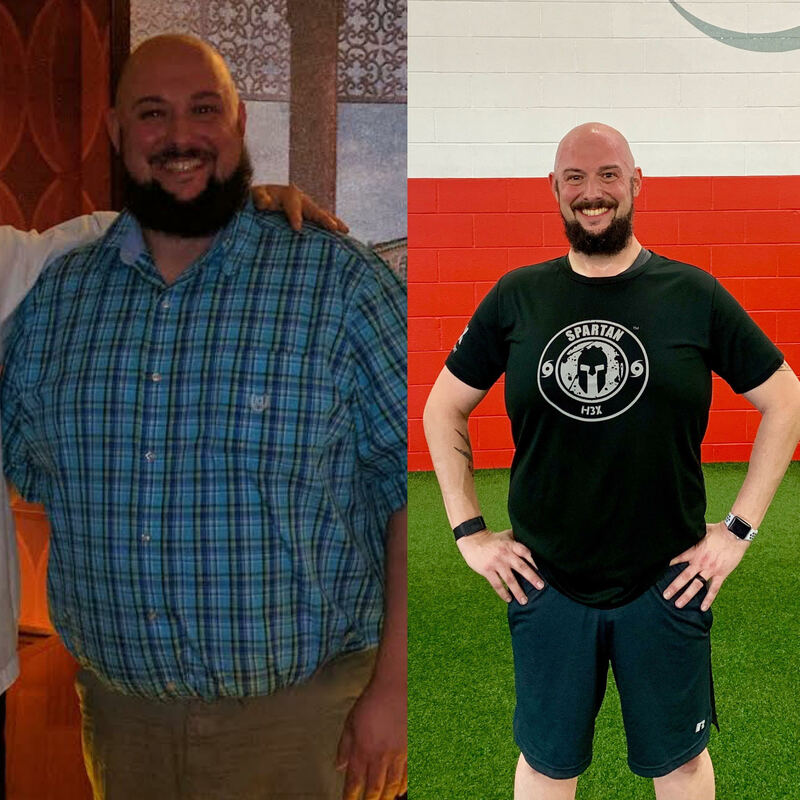 Like Jeremy, who came to us after a medical scare and a long conversation with his doctor convinced him that he needed to change his lifestyle. He is now down over 100 pounds! 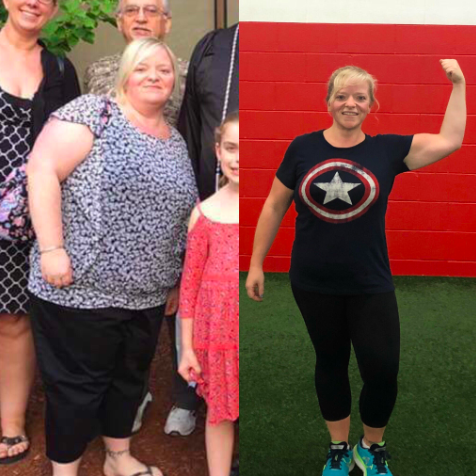 And Dawn who is down 90lbs! She has also dropped her cholesterol from 173 to 137, her blood pressure from the upper 130’s to the 90’s mmHg, and her resting heart rate from 90 to 52 bpm. The success stories above and our hundreds of members that have made incredible changes to their health all have a few things in common that we’re going to cover today. So, why haven’t you reached your fitness goals? Why haven’t you lost those 20-30 pounds that you’ve wanted off for quite some time? It’s time to rethink the way we view our health and fitness. Today I want to have a very real conversation with you. I am not going to sugarcoat anything. I want to keep it real and honest with you and share two things that can and will transform your health forever. It has has to do with making an investment. Yes, an investment in your health and longevity. It’s time to stop bargain shopping for your health and understand that your health is everything. So, how do you invest? 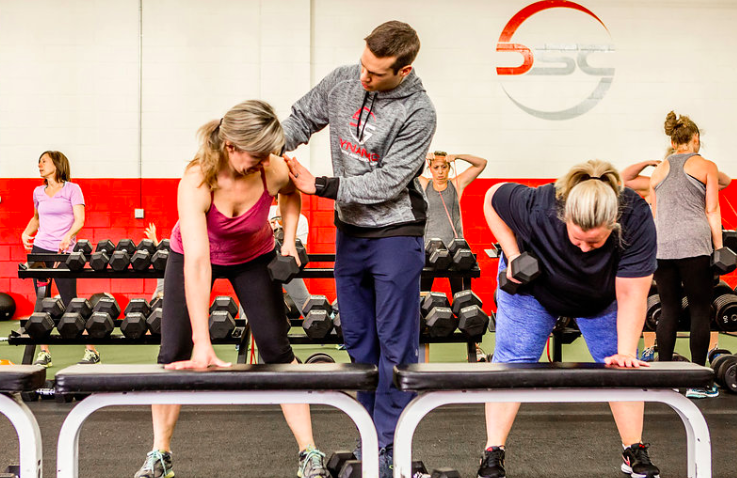 When a new member joins DSC, we have an entire protocol and on-boarding process we follow as coaches to make them feel as comfortable as possible. We know joining a gym can be overwhelming. Going from working out very little to a consistent workout routine can make you sore and fatigued if not coached properly. For this reason we always pull the reins back, do much less during their first few sessions and then slowly add to their workouts over time. This approach to slowly bringing new members up to speed isn’t just about success at DSC, it’s the key to fitness success. You see, it isn’t a race. There isn’t an end date. There is no 30-day quick fix or magic pills. This understanding and change in mindset has lead to the incredible success of our members. They simply understood that it’s a process and processes take time. So they started with a time investment. They committed to taking time out of their busy lives, their careers, and their families, to get to the gym, and get there consistently. And they made it a priority. This time commitment started small for our members but lead to some incredible progress. A couple weeks in and their energy begins to drastically increase. They notice they aren’t fatiguing during the workouts as quickly and their strength improves. A few months later, their time investment is continuing to pay off; their old clothes are practically falling off them and the scale is starting to move. Their friends are starting to notice how good they look and feel. The positive energy and growing confidence radiates off of them. If you want real change, you’ve got to make time. You simply can’t expect to make progress if you’re consistent for a week and then off for 3 weeks. Time and consistency are the key ingredients in helping you make incredible changes. If you’re not able to commit time now, then when? When you’re older? When you’re sick? When you’re even more tired and even less motivated? Then start small like all of our incredible success stories did. Start with something manageable like 2 days a week of physical activity and commit to it! Put it in your calendar and bring friends along to hold you accountable. Join a program and an amazingly supportive community like our Adult Group Training or Women’s Beginners Class to get you started. Go for a walk each week. Get the family involved! Start by making time. You got this! What is your physical and mental health and wellness worth to you? This is one of the biggest shifts in mindset for you to reach your goals. In order to make real changes, you need to stop bargain shopping for your health and understand that it is going to be a financial investment. You aim for quick, easy, and cheap so you head to the nearest drive through. Yes, you saved some time (no time investment) and some cash, but what did you actually get. You got a whole lot of junk food that isn’t moving you closer to your goals. Your fitness is no different. There are plenty of choices out there when it comes to joining a gym or starting a diet. 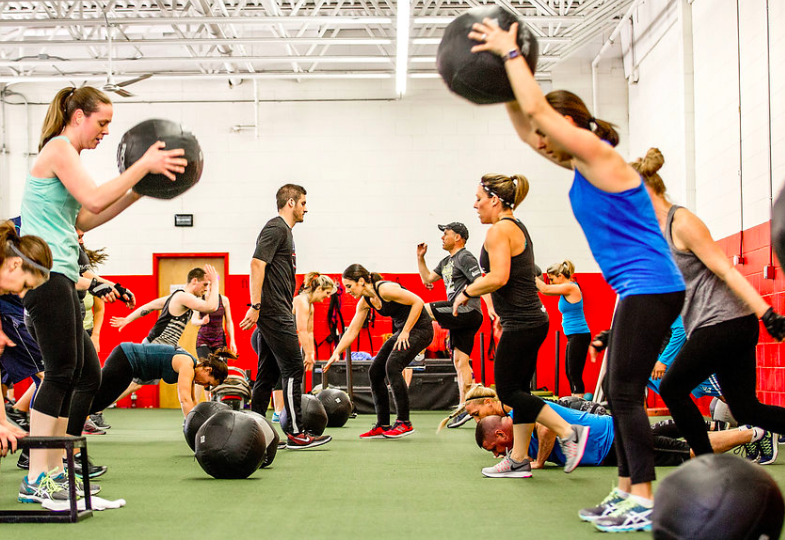 You can choose to join a $10/month gym but what do you get out of it? You get a big gym full of equipment with no personal support, guidance, direction, accountability, or motivation. You're left alone and before long willpower starts to run out. Those treadmill walks or jogs turn into drudgery. There's a reason fitness facilities make their money on the members who don't show up. Let’s look at some statistics on obesity. According to the Centers for Disease Control and Prevention, obesity impacts close to 40% of Americans. Being sedentary, overweight, and or obese drastically increases your risk of various diseases health related issues. These issues include various diseases like heart disease, high blood pressure and cholesterol, type 2 diabetes, cancer, mental disorders, and body pain to name a few. The list above is just a snapshot of the health implications of not taking care of your health now. If you're not willing to make a financial investment on your health now, then when? Think about the amount of money you will be able to save long term on medical bills, physical therapy. Research has shown that obesity costs people close to an extra $100,000 in their lifetime. This takes into account the costs of medical treatment and time out from work. Think about the money you can save by investing in your health today! Before joining a gym or purchasing a new diet, take time to do your homework. Make sure that the investment you make is going to work for you for the long-haul. Understand in making your choice, that it is an investment for the rest of your life. It's an investment to feel your best and build your confidence, to drop that stubborn weight, to improve your health, to be able to keep up with your grandchildren and add years to your life. Click below to schedule a call to find which program is right for YOU! Let's find which program is best for YOU!